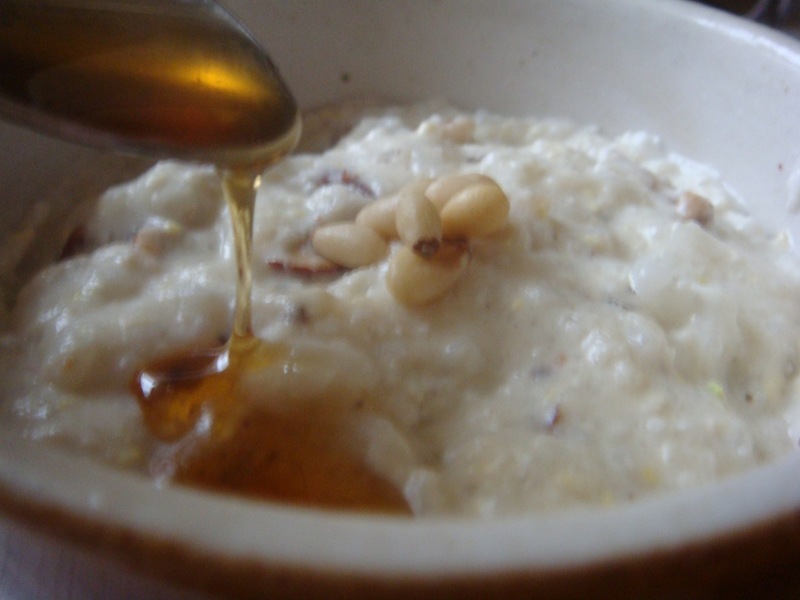 Jatjuk 잣죽 is a variety of Korean porridge made from finely ground pine nuts and rice flour. It’s sweet and soft. The dish has been regarded as a quality food in Korea because of its rich and creamy taste, nutritiousness, and easy digestibility. 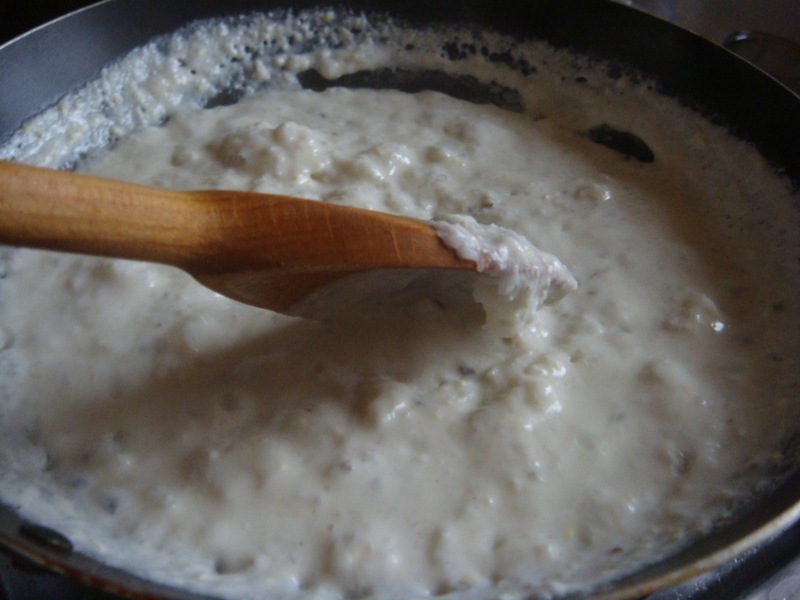 Jatjuk has been enjoyed by kings in the royal court in olden days, and by men and women of all ages today. 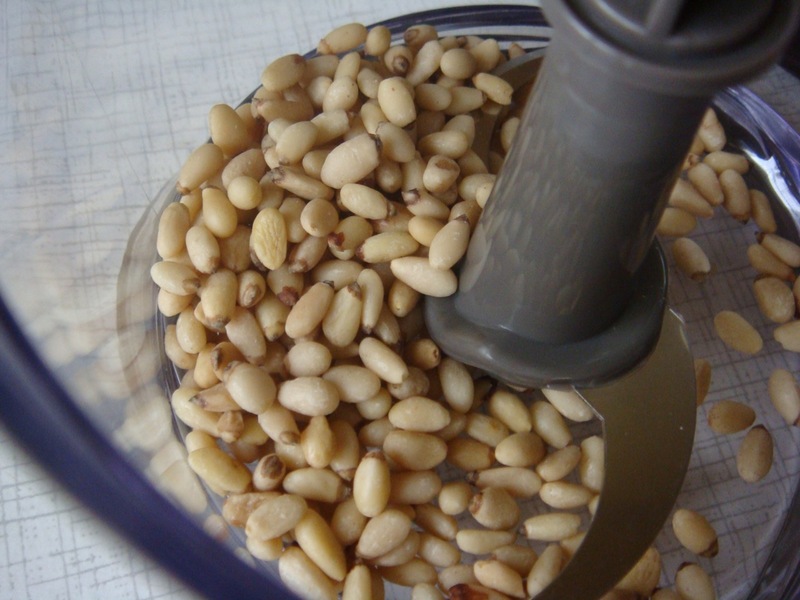 Using a blender or food processor, finely blend pine nuts with water. 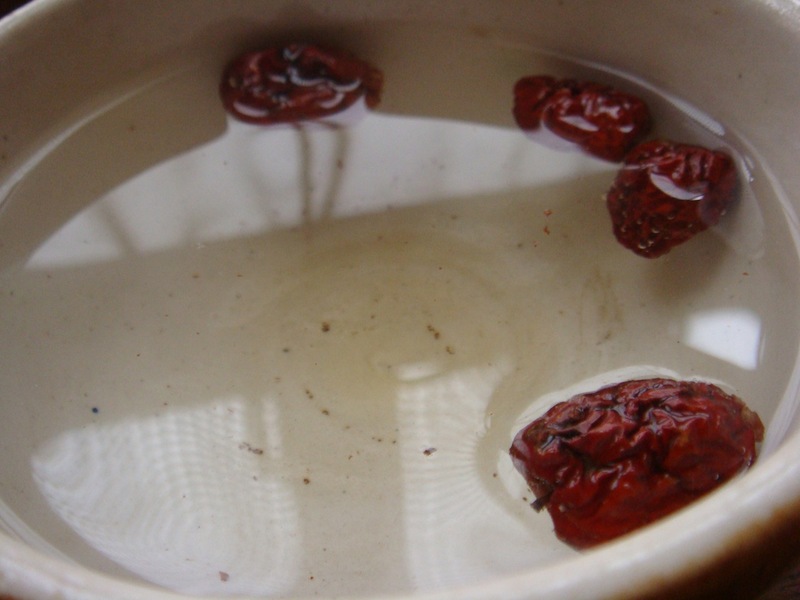 Cut jujubes into thin slices and combine them with honey in a small bowl. Set aside. 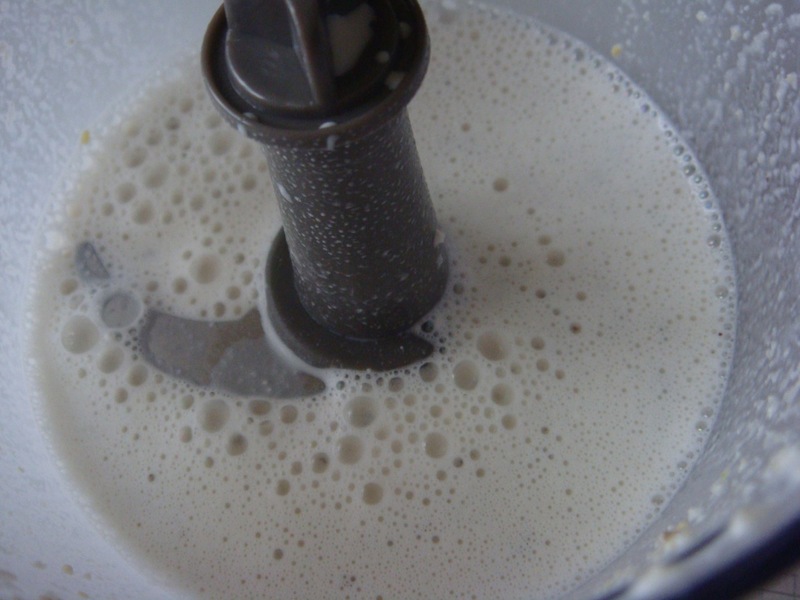 In a pan, simmer the rice flour paste over low heat, stirring until it starts to bubble. Add blended pine nuts, sugar and salt and boil for about 2 minutes. Put it into a bowl, add jujubes and a little extra honey over the top. Serve warm. This looks delicious! Do you have any idea where I could find jujube? I’ve never seen it before. I bought it online at some organic shop, but if you have troubles finding it, you can use raisins instead. The taste is pretty similar.